February is upon us, so what’s there to look forward to in terms of video game offerings? Following on from the releases such as New Super Mario Bros. U Deluxe and Travis Strikes Again: No More Heroes in January, our bubbly video producer Alex Olney has taken time to compile a list of ten exciting games being released on the Switch next month. So, what kind of games can we expect in February? The month starts off with the arrival of the delightful turn-based strategy game, WarGroove. On the 5th, The Book of Unwritten Tales 2 gets another release and then on the 8th, Odallus: The Dark Call brings retro-style Metroidvania goodness to the Switch. 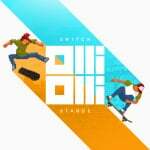 Valentine’s Day sees the arrival of Love - a classic but challenging platform game, or alternatively you can trick out in the two-in-one skateboard offering, OlliOlli: Switch Stance. Trials Rising Gold Edition lands on the 26th and there’s also Ape Out to anticipate, where you run about as an ape, smashing and bashing everything in sight. To see Alex’s full list, take a look at the above video. Even then, that’s just a small fraction of the games you can expect in the month of February. What games will you be checking out? Tell us in the comments. So far only Wargroove, a Direct is needed. WARGROOVE is soon to take over my life I suspect. Just got finished playing through ToeJam and Earl Back in the Groove for a review on my site (can't post till Feb. 28th when the embargo lifts) so I might be looking into Wargroove. Hopefully we can land a review copy...if not I will more than likely buy it. I’ll be playing plenty of Switch in February... just not any of the games releasing then. Still excited for Yoshi in March, revisiting Final Fantasy X/XII in April, and Fire Emblem whenever it comes out. Wargroove for sure. I love Trials though, that game rocks. Also, RemiLore looks like sleeper hit potential. 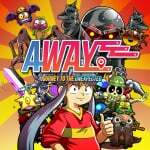 Why isn't Blazeblue on this list its out 8th feb and includes all the dlc that was on the ps4 version. Odallus and it's sister game from the same dev (name escapes me atm) both have caught my eye, but truth be told, I'm just looking forward to snagging one or two titles off my backlog (and hoping to catch a good sale for them at that). Aside from sale games, RemiLore is the only Feb game I'm buying on my Switch. Wargroove is all that interests me until etrian odyssey nexus on 3ds. If this is all they’ve got for February... I’m saving SO much money over the next month! What a change from the end of 2018! Sorry Alex, only Wargroove is the only thing I find remotely appealing here in this list. Where are the freaking Grandia remasters previously set for a 'winter release'? That's all I want along with FF9. @JaxonH We'll get some kind of news tomorrow via the investors meeting though with the info drought we're currently in I don't necessarily think it'll be positive news. 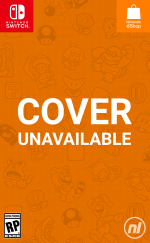 @GrumbleVolcano Nintendo will probably reveal details on Mario Kart Tour and maybe announce a new mobile game as investors love that stuff. I'll definitely be getting Downwell, Wargroove, Oniken and Odallus. Aragami looks interesting and it received good reviews elsewhere,that's one for a future sale though. I bought Phantasy Star last night, it has 25% off. I was so close to buying it 3 days ago for full price too, glad I waited. Just remembered about X-morph Defense, that's a certain purchase. It looks superb. Can't wait for Wargroove on Friday! I played Evoland on my Android phone. The game evolves through different eras of gaming as you progress and collect the necessary items to unlock them. The tongue in cheek way it's done is great. 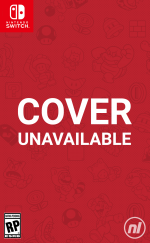 If Nintendo wants me to spend money (time) on Switch they need to do better than this. Been looking forward to both Wargroove and Ape Out, so it's looking like a decent beginning and end to the month for me. I’ll consider Wargoove when the cartridge comes out. Not interested in anything else in February. Should be getting Celeste and working through some backlog. For me there isn’t a single must buy title announced for this year yet, only some maybes. Are there any major releases this month at all? Except for Wargroove, all of them are mediocre games. 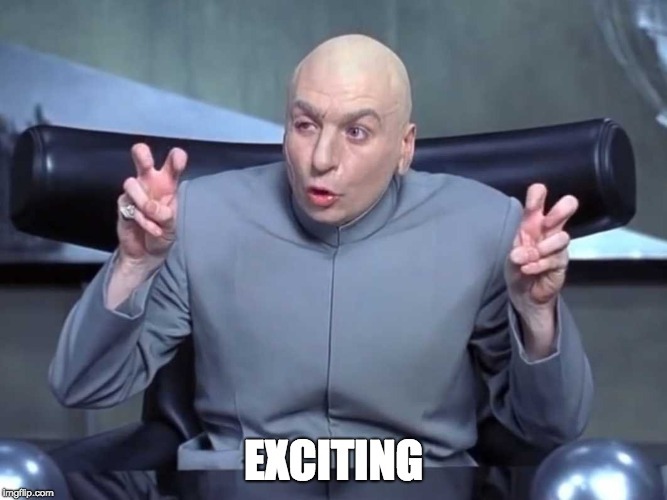 Don’t waste the word “exciting”. Wargroove looks promising and I guess Odallus looks OK, but this is a pretty weak lineup all things considered. Wargroove, centralfiction and olli olli are my must haves. Waiting on payday! Is that it again for the Switch for the next month? 2 months into the year, and nearing 2 years since the Switch came out,and the best offering so far has been a port of a sub par mario platformer. It says everything when Nintendo gaming sites are having to imply and fake excitement around another cluster of forgetful indie games. Maybe it's just me but I expect better from Nintendo and feel they're getting complacent. @Agramonte completely agree. Although I won't be buying those games you mentioned. Resident Evil 2 will have my time for a while. Then I'll be looking at Sekiro. The Switch has nothing that's even remotely exciting in comparison for me. Hilarious video, and with a good amount of information. Personally, I like half the games, but time and money will cut it down to one or two. Thanks for the nintendo (life) direct. 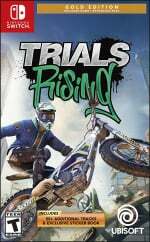 I am still in doubt to get Trials on Switch. Played a lot of Trials on X360 and PS4. But the main thing - especially with Hard/Extreme Tracks - is I need to be able to press the accelerate button slightly at some points. 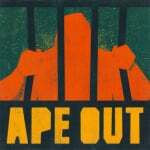 Ape Out looks pretty gnarly. Enjoyed the video. 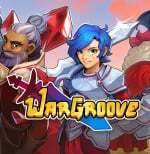 Wargroove following a review hitting 8 or above. Otherwise, I MUST complete at least one of my games before buying more...I’m looking at you DKTF, Splatoon 2 barely touched, Mario U and Wolfenstein 2. Maybe I'm in the minory, but I'm personally waiting for Tokyo School Story. @PlayedNSlayed Yeah Sekiro is my March game... cant wait! Like you said, what I am playing is not what you want but you still found better options. After someone is $120 in for a month on 2 video games. Even an extra $15 matters. Games like Smash, Kingdom Battle, Zelda, Octopath is what can compete with what is coming on other consoles in 2019. More like "1 exciting game coming to the Switch in Feb, and 9 average ones". Oh well. Give us a Direct already, I've waited long enough for FE:TH news.